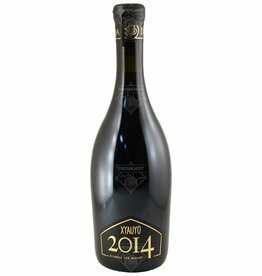 Xyauyù Fumé from Baladin Brewery is a top-fermented beer that has undergone macro-oxidation and matured for 12 months in Islay Scotch whisky barrels, giving it a natural peaty taste. It has a deep dark color with copper nuances. Xyauyù Kentucky from Baladin Brewery is a Xyauyù Oro with the addition of Kentucky tobacco. This beer has also been aged in oak barrels and has undergone macro-oxidation. The beer has no carbonation and no head.